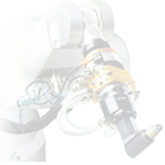 Automatic coupling of air and electricity to KTH’s robotic welding cells reduces downtime to zero hours! Quickly connect utilities in docking and fixturing applications. ATI Utility Couplers are for applications where there is a need to quickly connect utilities such as air, fluid, power and electrical signals in docking and fixturing applications. The modular, multi-coupling design can attach any of ATI’s standard add-on utility modules and will improve cycle-time and flexibility in any production cell. 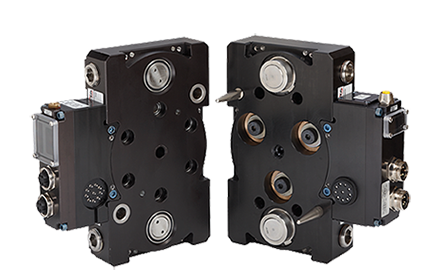 The Master-side connection features a unique rotational compliance mechanism that allows for large tooling misalignments. Utility Couplers can be provided with an electric or air actuated drive cylinder. ATI Utility Couplers offer a quick and cost-effective solution to your challenging coupling needs. What is a Utility Coupler (UC)? A dedicated connection device that couples air or electric signals for docking and fixturing applications. A Utility Coupler is typically not designed to carry payloads. Instead, the ATI Utility Coupler includes compliance features that will compensate for severe tooling misalignments. A Utility Coupler is also known as a multi-coupling or quick connector device. A Utility Coupler can be automatic or manual, locking or non-locking, and it can feature compliance or have no compliance, depending on application requirements.